Gone are the days when the rich crave for luxury goods, handbags, or watches. Nowadays, the rich own coastal villas – second homes where they can experience luxury. In the old continent, British, French, and Russian nobility considered resort villas as an integral part of the upstream lifestyle for a long time. They were not merely assets, but a guarantee of the status of the landowner given their intrinsic value. In 1920s United States, even before New York became a global financial centre with the arrival of a bunch of “tycoons”, vacation villas were the talk of the town of the upper class during teatime. In emerging economies such as China or India, members of the BRICS group, an association of emerging economies, a second home is a symbol of enjoyment, investment, and financial management. One statistic shows that 15 per cent of the Chinese population owns at least two houses. India continues to witness the flow of money into luxury real estate. Countries in Southeast Asia, such as Thailand, the Philippines, and Indonesia, are also not out of the trend. Việt Nam, of course, is the same. In fact, for the last three years, real estate resorts featuring classic coastal villas have been, and are predicted to remain, the focus of the real estate market. Coastal cities with the gorgeous landscapes, such as Đà Nẵng, Nha Trang, and Phú Quốc, have never been as exciting and popular as they are now. Investors look forward to these three attractive attractions in Việt Nam, and transactions have increased significantly, with many projects currently "fully occupied". As beauty goes parallel with scarcity, these developments are not only profitable business-wise but also a place for relaxation and enjoyment of the high life. It is an undeniable fact that Đà Nẵng and Nha Trang have become too familiar. Bali, Phuket and Maldives are in the same situation. Tourists tend to look for new land, which of course must be beautiful and peaceful. No one can deny the beauty of the above places, but what is familiar can also be boring. Phú Quốc island is still in the first stages of development. The wilderness is still intact; the indigenous culture is fascinating, while facilities are improving every day. High-class resorts are entering the preparation phase. One of the most basic factors for a beach resort paradise are the scenic, splendid beaches and beautiful attractions. “Emerald Island,” in Phú Quốc, showcases that beauty. Phú Quốc island is expected to be the number one destination for marine tourism in Việt Nam., as the numbers prove. A report from the General Statistics Office showed that the number of visitors to Phú Quốc island in 2017 reached nearly two million. Just in January 2018, Phú Quốc island welcomed nearly 260,000 visitors, up 51 per cent over the same period last year, of which foreign visitor figures increased 40 per cent. In addition, CBRE's statistics show that Phú Quốc island has risen to the top in the country in the luxury resort segment. The capacity of four-five star hotels in Phú Quốc has reached 90 per cent - a dream figure for every travel city. 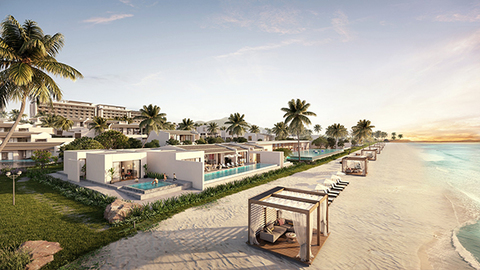 Investors are turning to Phú Quốc island, with a particular focus on Regent Residences Phu Quoc's ocean villas. They call it the perfect investment. 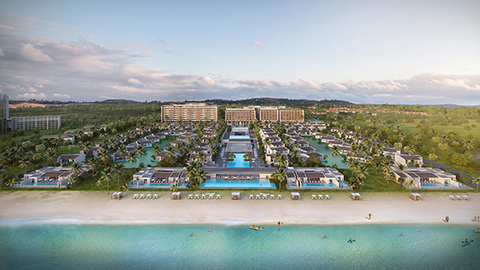 Regent Residences Phu Quoc is a six-star resort on the emerald island, located in a complex developed by BIM Group and managed by Regent Hotels & Resorts, the most prestigious brand under IHG Resorts. It must be stressed that brand management is one of the first keys to determining profitability. A long-time prestigious brand in the luxury hotel scene, Regent ensures that the number of guests will be on the increase continuously. For nearly 50 years, the global capacity of the Regent Hotel brand has always reached 90 per cent. Regent Residences Phu Quoc is located in Bãi Trường beach, one of the most beautiful beaches in Phú Quốc island. This means owners of Regent Residences Phu Quoc villas will own some of the most valuable assets in luxury real estate, which is unrivaled vision. 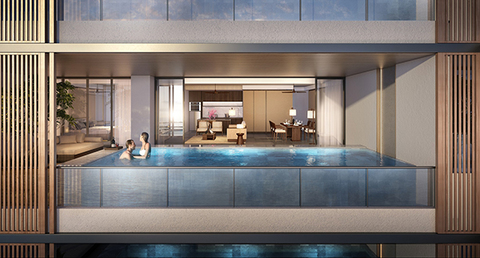 This will only make the Regent Residences Phu Quoc more valuable over the time. Of course, preferential policies are very important when deciding to investment. In this respect, Regent Residences Phu Quoc is the only name that prioritizes the profitability and benefits of customers. Regent Residences Phu Quoc is committed to a profit of no less than nine per cent per annum for nine years and a revenue share of up to 40 per cent. With such a perfect investment, it is not difficult to understand that after only a short time, 76 luxurious villas have found their owners. Regent Residences Phu Quoc is not only lucrative, but a wonderful way of experiencing real luxury. In June 2018, Regent Residences Phu Quoc officially introduced 42 super Sky Villas with direct sea views. This is a stylised model from the traditional villa, which is quite popular in developed countries. The villas bring a novel experience of open space from above, providing the beautiful view. Sky Villas is the most prestigious property at Regent Residences Phu Quoc.